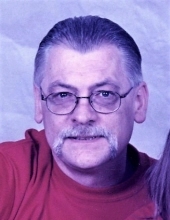 David A. Allegar, 64, of Hartford Twp., OH, passed away in his home, following an extended illness on Sunday evening, February 3, 2019. He was born in Mercer, PA on December 1, 1954 to the late Walter and Martha (Peters) Allegar. Dave was a graduate of Sharpsville High School. In his earlier years, he worked with his brothers at the auto electric shop that his father owned, and more recently, he worked for Novelis in Warren, OH. He loved helping with Special Olympics that his daughter participated in, and enjoyed riding his Harley. Dave is survived by his wife at home, Elaine M. (Carl) Allegar. They were married on January 12, 1974. Also surviving are: a brother, William Allegar; three sister-in-laws, Janet Bednar and her husband, Ed, Linda Carl, and Angela D-Onofrio; several nieces and nephews, Brian, Christopher, Melissa, Shayne, Jenna, Ameila Mae, Billy, Jamie, and Albert. In addition to his parents, he was preceded in death by: his daughter, Jessica Ann Allegar; a brother, Allen Allegar; and a brother-in-law, Donald Carl. Private services will be held. Memorial contributions can be made to: The skills unit at Easter Seals, 721 Boardman Poland Rd # 104, Youngstown, OH 44512. Messages of sympathy, stories, and photos can be shared at: www.osborne-williams.com. To send flowers or a remembrance gift to the family of David A. Allegar, please visit our Tribute Store. "Email Address" would like to share the life celebration of David A. Allegar. Click on the "link" to go to share a favorite memory or leave a condolence message for the family.